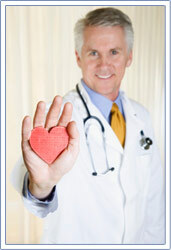 "Doctor Bakker is the best of the best. I couldn't say one negative thing about him or his practice. His assistant Linda is amazing. She returns calls immediately. His entire staff is so nice and remember you each time you come in. Dr. Bakker is the best doctor I have ever been to. He truly genuinely cares about his patients. The first time he met me I was crying in pain and he told me "I am going to do whatever I can to make your pain go away" I immediately knew I was in good hands, and I was right. He has kept good on his promise for a year and a half now. He has personality, a sense of humor, and he's an amazing doctor. He's the whole package. I would recommend him to anyone and I trust him with my life. I can't even fathom that he has negative reviews on here because I have never had one complaint or bad experience with him. 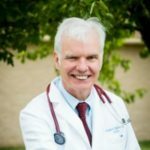 If you are looking for a doctor who wants to make you better and who will personally make sure that happens, go see this doctor." CNSM has been open in Frederick and Montgomery County since 2002. Dr. Konrad Bakker is originally from the Netherlands and did his neurology residency at Georgetown University Hospital and a fellowship at NIH. He is dual certified in Neurology and Sleep Medicine and has been practicing since 1986. He loves his work and is truly dedicated to his patients. He often says he is way too happy practicing medicine to retire. 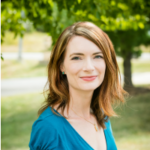 Sarah Jamieson, PA-C joined the practice in 2006 and is well known for her treatment of MS, headaches and sleep disorders. We often hear how patients love her and she was even voted by the Frederick New Post’s poll to be in the top 5 of neurologists along with Dr. Bakker. We are very proud of our staff and everyone’s dedication to helping our patients with empathy and good cheer. We are fortunate to have staff here for the long term. Our full-time staff has been with us between 7 and 13 years. I believe we treat our patients and staff well and they, in turn, offer patients the care that we all feel they deserve. At CNSM, we care about treating you well, not just making you well. At the same time that we offer the latest technology used by highly skilled health care providers, we make sure that your comfort and privacy are not overlooked. We pledge to treat you with compassion and courtesy throughout your time with us and to provide education and support resources for both patient and caregivers. This is what sets us apart and is the reason why our patient satisfaction scores are consistently high.